Click image to enlarge. 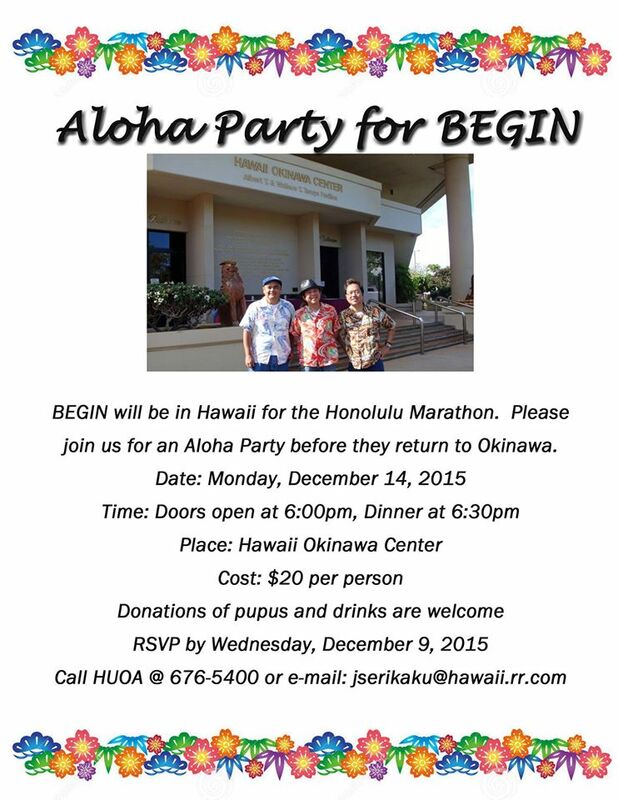 I totally missed this aloha party for BEGIN, which took place at the Hawaii Okinawa Center on 14 Dec. 2015. This entry was posted in Announcement, Culture, Hawaii Okinawa Center, International, Music. Bookmark the permalink.